1979-93 Mustang Single Gauge Pillar Pod 2 5/8"
We no longer carry the 1979-93 Mustang Single Gauge Pillar Pod 2 5/8". 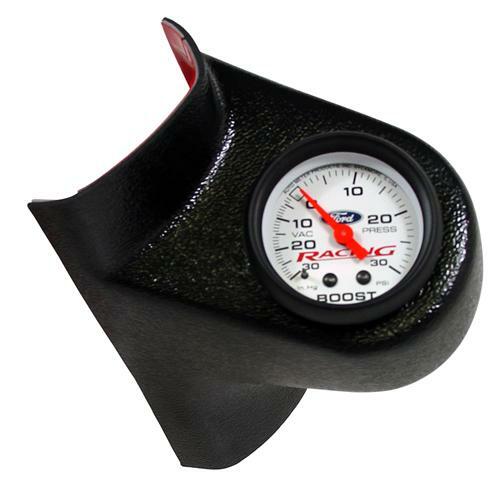 Check out 79-93 Mustang Gauge Pods for an updated selection. Keep your gauges in full view with this a-pillar gauge pod from Latemodel Restoration Supply! Aftermarket gauges are a great way to monitor your Mustang's performance and add style to your interior. Retain your Mustang's OE looks and put your gauges right where you can see them with this sleek a-pillar gauge pod. Formed from black, injection molded ABS plastic and includes a single 2 5/8" gauge opening. This pod easily installs over your factory a-pillar and blends seamlessly with OE textures.